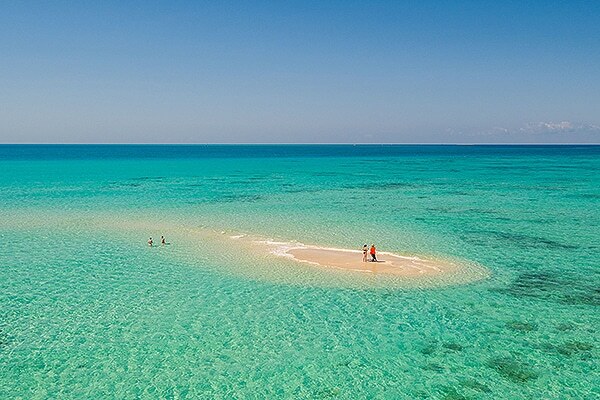 Upolu Cay is a naturally formed coral cay situated 30 kilometers from Cairns on the Great Barrier Reef. 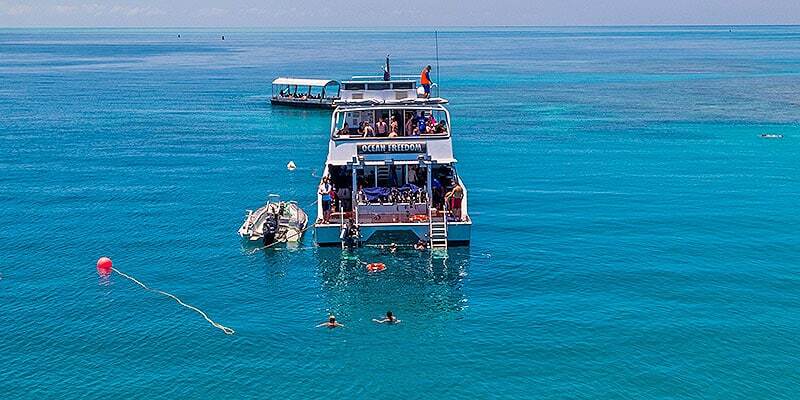 Its protected, shallow waters make it the perfect location from which to explore the reef, for both snorkelers and certified and introductory scuba divers. As it is a natural pontoon, the cay size and visibility is subject to conditions on the day, but the clear shallow blue waters surrounding the cay (whether visible or not) are always there! Ocean Freedom’s luxury 20m cruising cat travels at 23 knots, reducing travelling time to the Great Barrier Reef to just one hour. The order in which the 2 destinations are visited will depend on the conditions on the day. Your skipper will pick the best order of destinations, to make your experience the best possible. You may even want to try your first ever scuba dive, or for the certified diver, enjoy being guided by our qualified instructors on some of the best dive sites on the reef. Scuba diving. Ocean Freedom’s highly qualified dive instructors offer introductory and certified diving packages. For beginners, you are taught diving skills, equipment and communication before being taken beneath the water with our professional crew.Ocean Freedom specialise in first time divers, offering a unique ratio of only 2 divers to 1 instructor (usual ratio is 4:1). Certified divers will enjoy first class equipment and a free guide, to ensure you see the very best the Great Barrier Reef has to offer. Experience weightlessness under water and be amazed by the corals and marine life surrounding you. Please note: All diving is subject to you having no medical condition (past or present) or taking any medication which may be contradictory to diving. Your adventure begins with check-in at the Ocean Free / Ocean Freedom desk at 7.15am. Boarding commences on Cairns’ Marlin Marina from 7.30am. 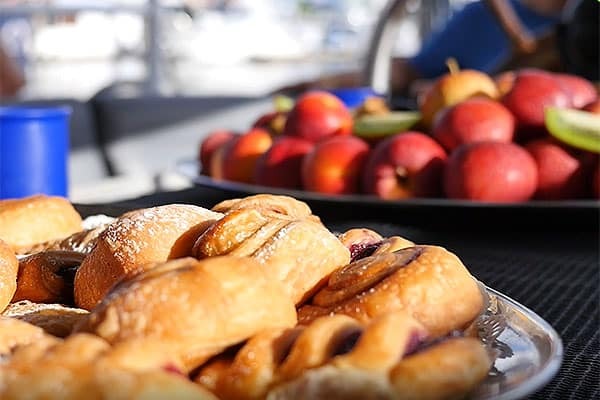 Enjoy fresh tea, coffee, fruit and Danish pastries on board, prior to the 8am departure when Ocean Freedom commences its cruise to Upolu Cay Reef and the outer edge of Upolu Reef. You can relax in the air-conditioned saloon or on the fresh air sundeck. 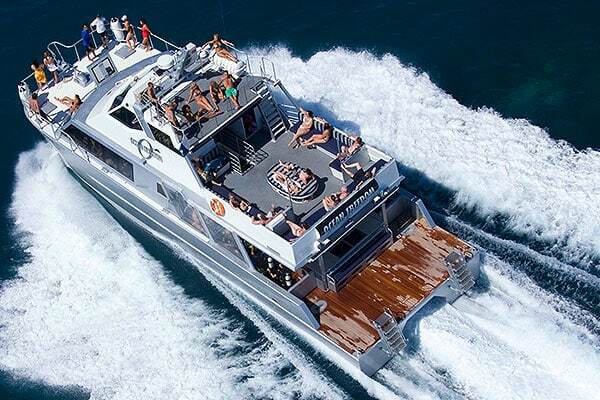 En route to the Great Barrier Reef, the friendly crew will provide an introductory safety briefing and for those wanting to partake in introductory or certified scuba diving, the paperwork and briefs will be completed on the way out, so we’re ready to go on arrival at the reef. On occasions the water maybe shallow enough to allow landing on the Cay itself (as shown above). On other days you can sometimes stand in ankle to knee deep water and get photos of you seemingly standing in the middle of the ocean! 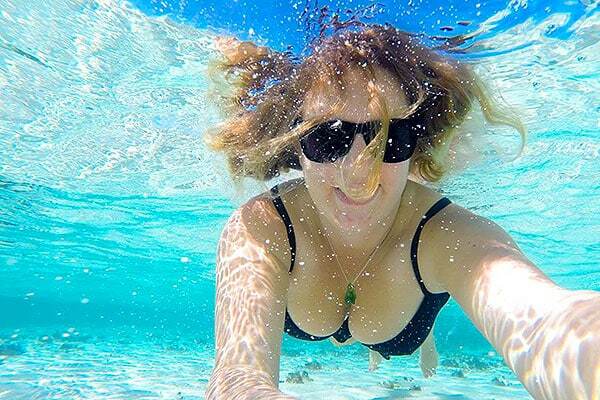 Some days the cay may be totally submerged, but still has beautiful, crystal clear waters to snorkel in. 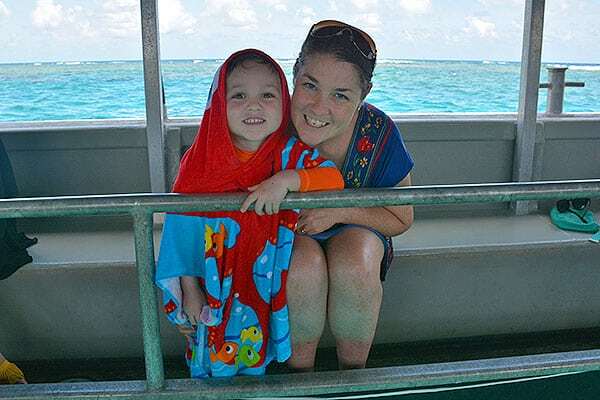 Enjoy a Glass Bottom boat tour around the crystal clear waters surrounding Upolu Cay Reef. Ocean Freedom is the first boat to arrive, so you can enjoy this pristine area uninterrupted! 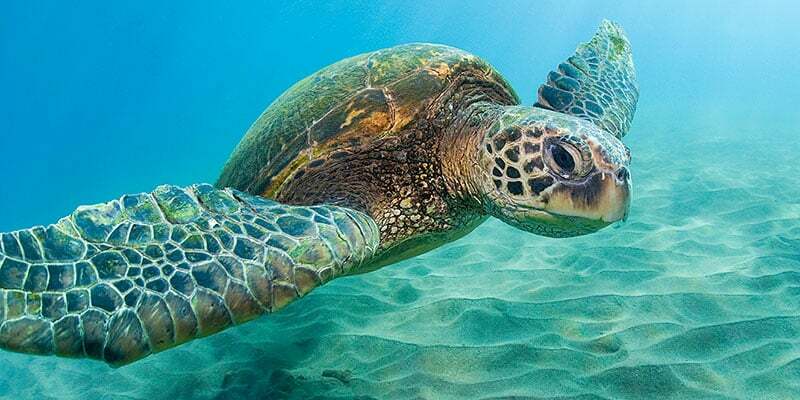 Surrounded by stunning turquoise water and many types of corals, reef fishes, stingrays, cucumbers and sea stars, this is a great introduction to the reef. Ocean Freedom’s friendly crew provide a delicious lunch at approximately 11:30am in a self-serve buffet style. Enjoy a sumptuous feast of smoked salmon, chilled prawns, cold chicken and meats, three different salads, fresh breads and fruit. While you dine inside or outside on the decks, we cruise slowly to the second site. You will be amazed and impressed at the “Wonder Wall” on the Outer Edge of Upolu Reef. Rising 10m – 12m from the ocean floor, “Wonder Wall” plateaus just 0.5m – 1m under the surface (depending on the tide), making it an ideal snorkel and dive site. Enjoy an informative adventure drift snorkel tour with our Marine Naturalist. 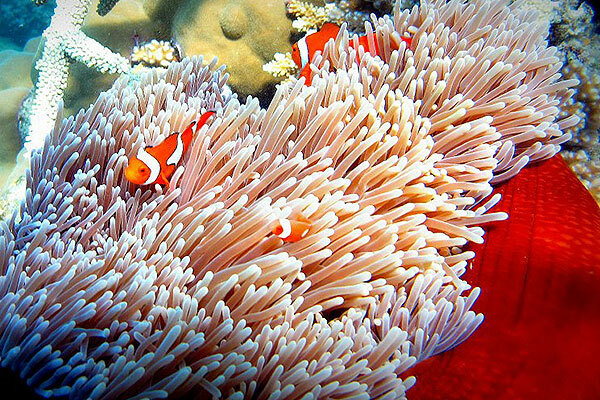 The Outer Edge Upolu Reef is home to a diverse array of some of the Great Barrier Reef’s most famous critters, including nemo. In fact, out here, there’s nemos everywhere! Spend your time here viewing many different types of hard and soft coral, in addition to fans, giant clams, turtles and a huge diversity and abundance of reef fish of all sizes. 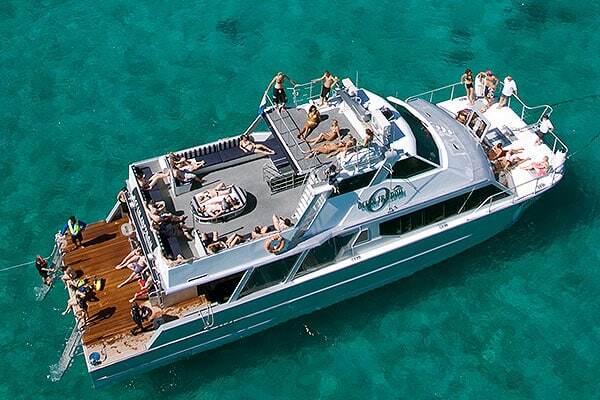 At Ocean Freedom we’re 100% committed to making sure our guests have maximum enjoyment, on and off the boat. That’s why we give our skippers the flexibility to choose the order the two destinations will be visited in, pending the conditions and tides at the time of your travel. It’s all about making you smile! 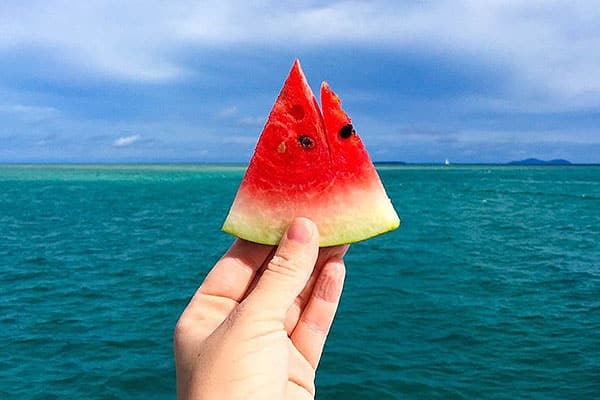 After a full six hours of unrushed pleasure on the reef and shallow waters surrounding the Cay, cruise home while our crew serve a sumptuous selection of tropical fruit, cheese, crackers and a decadent cake platter. 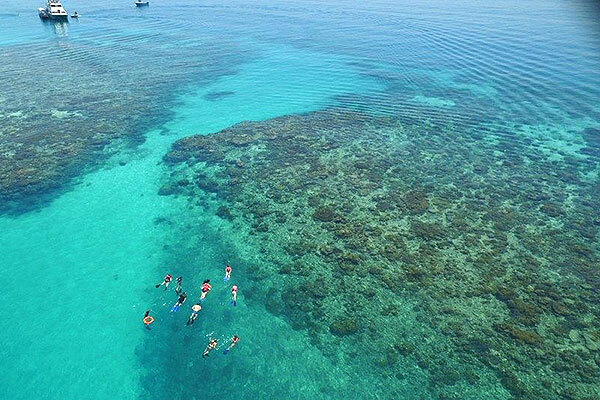 The ultimate way to wind down after a magical day on the one and only Great Barrier Reef! Arrive back into Cairns around 4.30pm.